A company's business model encompasses the way it is structured and the way or ways that it brings in income, as well as the sources of that income, amount of income generated, and frequency of that generation. The business model will be different depending on what kind of goods or services a business produces. Some common business models include company-owned storefronts, franchises, businesses that are run completely online, and manufacturing-based businesses that distribute to stores and online outlets. As a business model, franchise opportunities deserve a careful look. A franchise is an agreement where a recognizable brand name, such as Starbucks, can be used by a business owner for a fee plus royalties. A person looking to sell goods and services will buy the rights to a particular brand that has a high degree of patronage, in a certain location for a limited period of time. Most businesses with multiple locations across a large geographic area are franchised. The up-front costs of obtaining a franchise are considerable, but the profits that may be gained are also considerably higher than they might be without an established brand name at which people will be excited to shop or eat. Many entrepreneurial ventures (stores and restaurants) have a high rate of failure, but franchises have shown a track record of success that makes them an attractive option. Currently, franchises are a major source of employment, comprising about 8% of all jobs in the U.S. economy according to the International Franchise Association. Franchise businesses produce about $880 billion in goods and services per year, which represents 4.4% of U.S. private sector output. There are some definite advantages to the franchise business model for both the company owner and the franchisee. The main advantage for the franchisor is that they can expand the reach of their brand without having to deal with the details of running each location, such as hiring and managing employees and ordering inventory. Franchisors receive fees and a portion of the profits, known as royalties, so they can still make money even though they aren't directly involved in each franchise. The advantages for franchisees are also considerable. 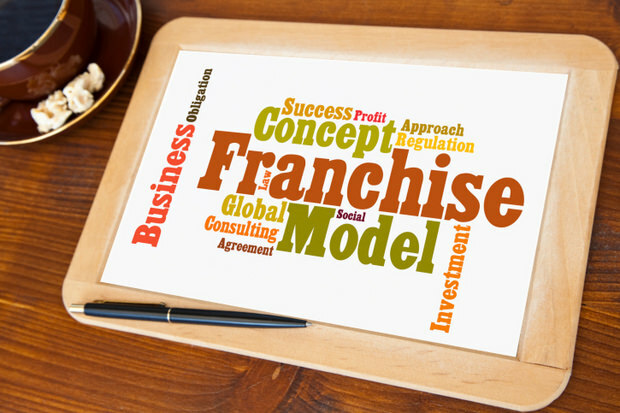 Besides using a known brand name to attract customers, franchisors also provide detailed business plans and rules to follow, which are proven to be successful for other locations of that business. Advertising is shared by all franchises, which simplifies the process of marketing. This high level of support is part of the reason that franchises have a higher initial investment than other business opportunities, but it is often worth the cost to have a proven track record of success. The amount of capital required to buy a franchise varies greatly, and the ROI (return on investment) varies greatly as well. While past performance is not a guarantee of future profit, looking at the current ROI of a company's franchise is a good way to gauge what you might make in profit on a given franchise opportunity. FranchiseGator has information about hundreds of franchise opportunities at all fee levels, as well as information about how to obtain and run a franchise, support communities, conferences, and more. Sign up for the email newsletter to get the latest updates and opportunities.